Musician Chris Cornell, 52, died in Detroit on Wednesday night. The Soundgarden and Audioslave lead singer’s death was “sudden and unexpected,” according to a statement from his representative. The statement said his family was working closely with the medical examiner to determine the cause of death. Born in Seattle, Washington in 1964, Cornell formed Soundgarden alongside guitarist Kim Thayil and bassist Hiro Yamamoto in 1984. In 1988 they signed with A&M, becoming the first grunge band to sign with a major label. Cornell was a multi-instrumentalist who began his musical career playing drums, piano and guitar before discovering his incredible three-octave vocal range and putting it to good use with a multitude of bands in the Seattle scene and beyond. Cornell was a contemporary of other famous grunge icons such as Kurt Cobain from Nirvana and Eddie Vedder from Pearl Jam, with whom he sang an iconic duet, Hunger Strike, on Temple of the Dog’s eponymous album. "He sang half of that song not even knowing that I'd wanted the part to be there and he sang it exactly the way I was thinking about doing it, just instinctively," Cornell said of Vedder’s in-studio performance in a 1991 interview with KISW 99.9FM Seattle. Rumors had circulated recently of a Temple of the Dog reunion in the near future. Cornell was on stage Wednesday performing with Soundgarden at the Fox Theatre Detroit. Images of the show were posted on Twitter by the venue. He also tweeted before the show of his excitement of performing. The musician was touring with Soundgarden and had a number of tour dates scheduled, including Columbus, Ohio on Friday. Cornell was a self-described “daily drug-user at age 13" who quit by the time he turned 14. After the breakup of Soundgarden in 1997, he became addicted to the opiate OxyContin, something with which he grappled for some time. When asked about the death of his friend and contemporary Andrew Wood, frontman of the band Mother Love Bone, from a heroin overdose, Cornell responded rather presciently. “It's sort of a morbid exchange when somebody who is a writer like that dies, and then everyone starts picking through all their lyrics," he said in a 1994 interview with Rolling Stone. 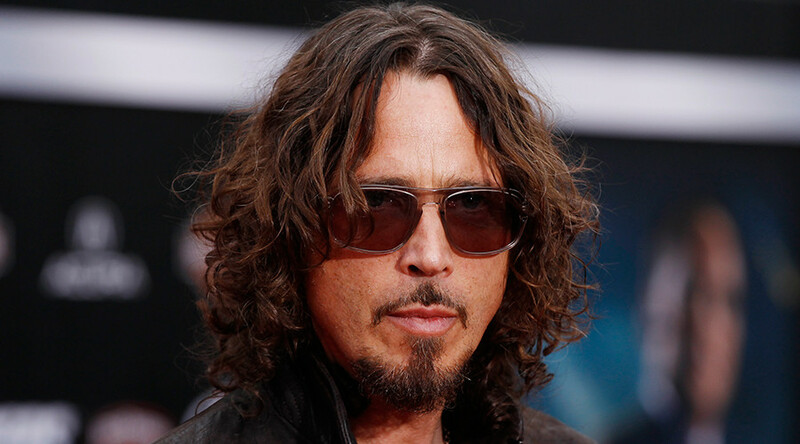 His battle with drug addiction throughout his life was well-documented, but Cornell himself emphatically stated that, at least during his time with Soundgarden, his drug use didn't inform his lyrical content. "No, I don't have any heroin songs. It's about trying to step out of being patterned and closed off and reclusive, which I've always had a problem with." Soundgarden sold an estimated 22.5 million records worldwide.